Paul Winters has been coming to the Knob Creek Gun Shoot since 1992 to blast away at targets with machine gun rounds. “This is Disneyland with guns,” Winters said of the two-day event held twice a year in the hills of Kentucky near the hamlet of West Point. “This is a place to come compete and have fun with your buddies,” he said. 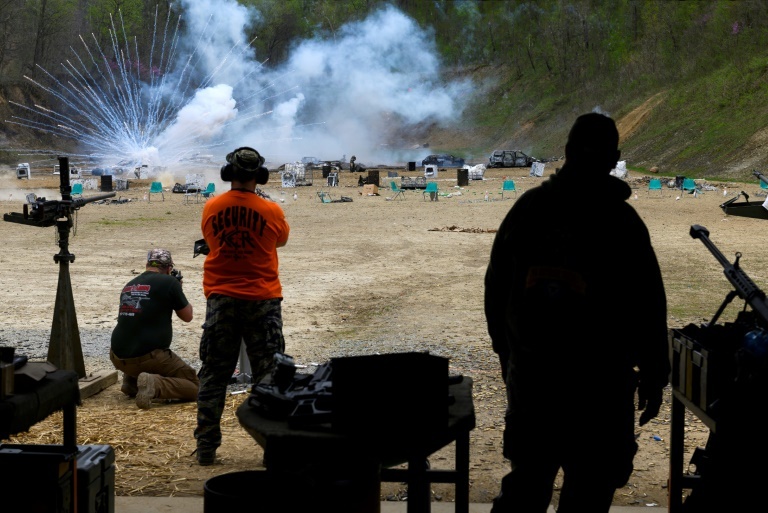 The Knob Creek Machine Gun Shoot and Military Gun Show was started in 1965 by Biff Sumner and a few friends who were having a cookout and firing off weapons for fun. It has evolved into the biggest private machine gun shoot in the world, attracting thousands of automatic weapons enthusiasts from around the United States and abroad.